While you expect an all-new Volvo like the S90 midsize sedan to be laden with safety features, what you might not expect is the car's level of sophistication. While Volvo execs are clear the S90 is not fully autonomous, it does carry a raft of features that transfer some of the most mundane tasks from driver to car. That the car runs smoothly and sounds likes a kittens purr. My vehicle is great. I haven't gotten any problems with it yet. Runs great, feels great, one of the best things I've ever driven. It can help to prevent crashes with animals on the road. The Volvo has some of the best safety features. We love its simplistic technology and its sophisticated interior. It is a computer on wheels. Performance and reliability good. Comfortable. Stylish. Roomy and accommodates passengers well. Enjoyable drive. 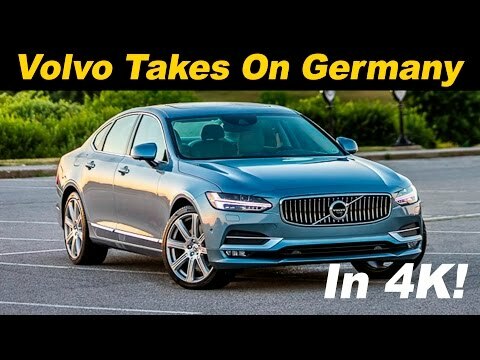 2017 Volvo S90 Review and Road Test - DETAILED in 4K UHD!